Why does photography influence not only the perception, but also the design of architecture? 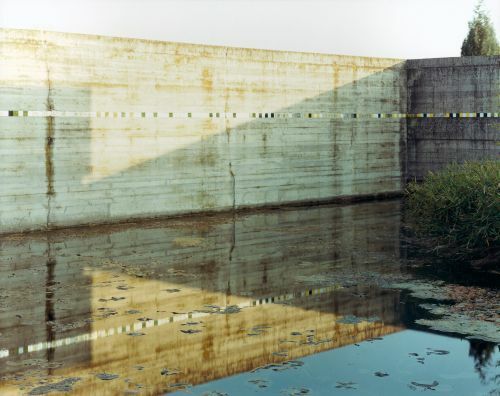 These and many other questions are posed by the large-scale anniversary exhibition Concrete – Photography and Architecture, which Fotomuseum Winterthur will present throughout all of its spaces at the beginning of March 2013. Starting with the 19th century when photography was invented, we will use key iconic urban architectures and photographs to explore the dialogue between architecture, the conversation between space and time. Concrete – Photography and Architecture will not be chronologically arranged. Instead, striking positions, juxtapositions, and thematic fields will bring together the concrete, fundamental, and historic. In addition to everyday architecture and prestigious constructions, structural horizontal and vertical axes, house and home, utopias, plan and reality, the captivating transience of architecture against the test of time – and destruction both natural and intentional – will also play an important role. In answer to the force and power that is hewn in stone and poured into concrete, it is almost as if photography would offer a moral reminder of its weaknesses. Architecture has always been a magnificent and much debated platform to express the spirit of the times, worldviews, everyday life, and aesthetics. It is a daring materialization of private and public visions, of applied art and the avant-garde alike, and it is also, as Slavoj Žižek puts it, “ideology that has turned to stone.” But photography and architecture are also clearly anchored in everyday life. We encounter them daily – often unconsciously – with every move we make. They influence our thoughts, actions, and being, fundamentally and enduringly. What characterizes this close and yet so complex union between architecture and photography, between architect and photographer? Concrete – Photography and Architecture aims to provide visual answers. The exhibition presents more than 400 photographs and photo series from the 19th, 20th, and 21st centuries, by photographers such as William Henry Fox Talbot, Domenico Bresolin, and Charles Marville, Germaine Krull and Lucia Moholy-Nagy, Julius Shulman, as well as contemporary positions by Georg Aerni, Iwan Baan, Luisa Lambri, and Hiroshi Sugimoto. Research projects such as the long-term documentation of the Swiss town Schlieren and Wolfgang Scheppe’s Migropolis illustrate the increasingly important role that artistic photography plays as an instrument for research and insight.